My weekend was mostly spent reading, and catching up on some sleep and cleaning around the house. Hence I don’t really have a lot to share in terms of knitting or sewing today, and will keep it brief. I did print, tape and cut/trace the pattern for the blouse I’m making for the VPLL1912 Titanic project, and I did sort my fabric into my brand new plastic boxes. 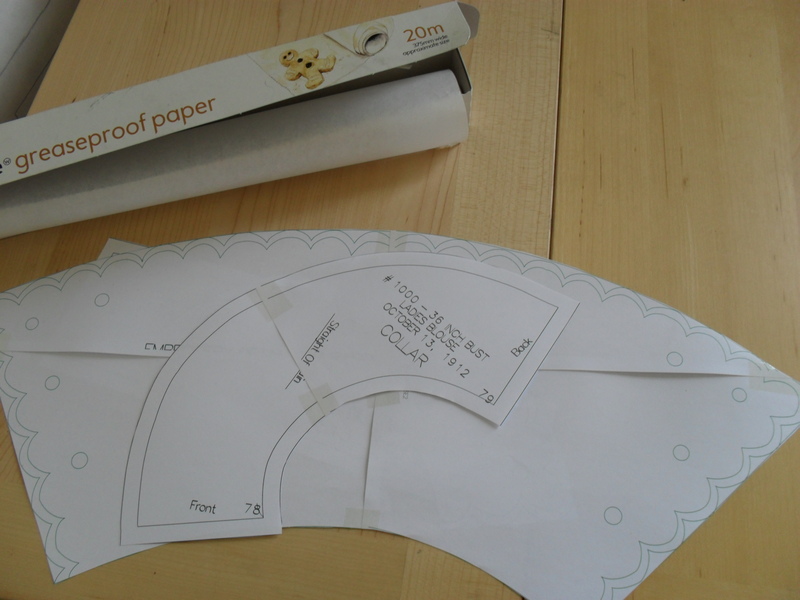 For tracing pattern, I use greaseproof paper. It’s sturdy, cost-effective cheap and the only downside is that it can be a bit narrow, in which case you have to tape the pieces together. This only ever happened to me for trousers, tho, and was easily solved by using some sello tape. For me this works really well – what are you using? 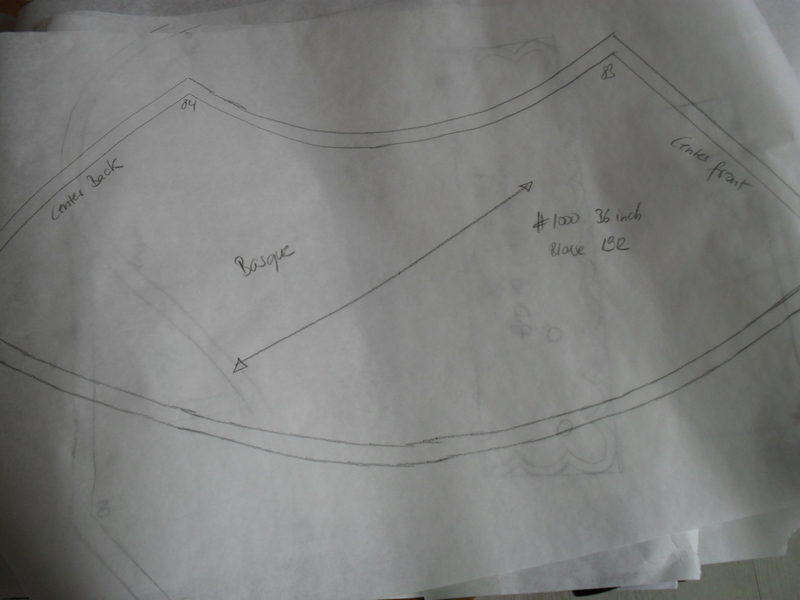 Or do you cut right from the pattern sheet? Somehow, I don’t like doing that … I think it’s a combination of the delusional belief that one day I will loose these extra 10 pounds, and the fact that I started sewing from magazine patterns (because that was what we had at home … for the longest time, I didn’t even know that you can buy individual patterns. Ya, how embarrassing, I know … ), and since there are many patterns on one sheet, you obviously don’t want to cut it in case you want to make another one from it. Of course there was some knitting, too. 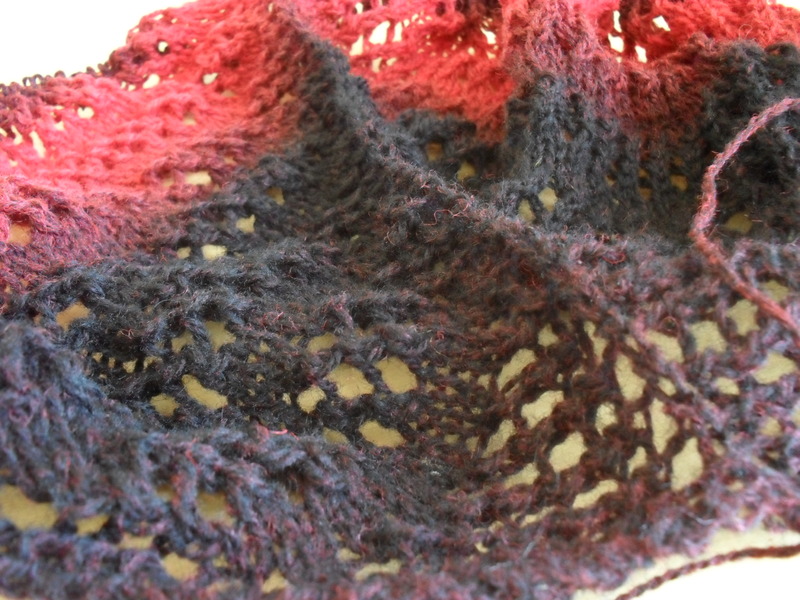 Since the football turned out to be really captivating (sorry, England, but Buffon is a god) I needed something easy to work on, and started yet another shawl. I promised you historical patterns last week. Truth is, I haven’t done as much with them as I’d hoped I would, because the Caterpillar Cardigan insisted to be born. Oh, well. Since I’m still utterly in love with this project, I’m down with that. But I have made a commitment, and so I’ll tell you at least about the pattern, if not about me doing something with it. With the upcoming 100-year anniversary of the sinking of the Titanic, there seems no better time to be motivated to tackle one of the Vintage Pattern Lending Library’s archives largest projects. The scanning and digitizing of the patterns and magazines of La Mode Illustree – once France’s foremost publication of fashion of the era. 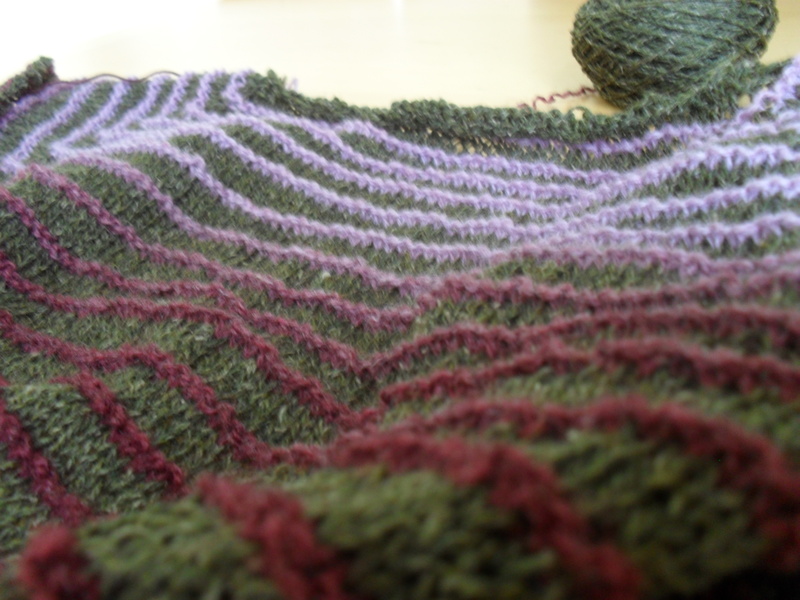 Now, when I started this blog, I really thought I’d be knitting vintage patterns (which, urm, yeah, didn’t really work so well … I did make one, tho!). Somehow, however, the things on my needles have drifted towards vintage inspired self designed items, and I enjoy that too much to fret about it. So I was thrilled to find another outlet for my love of all things old, and even from an era I adore for it’s style. Sign me up, Scotty! However, speaking of waistless. 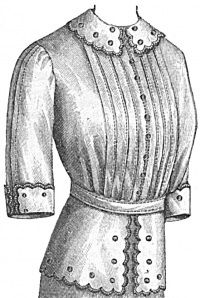 Looking at photos from the era, and the cut of the blouse, I realized I should probably make a corset, too.